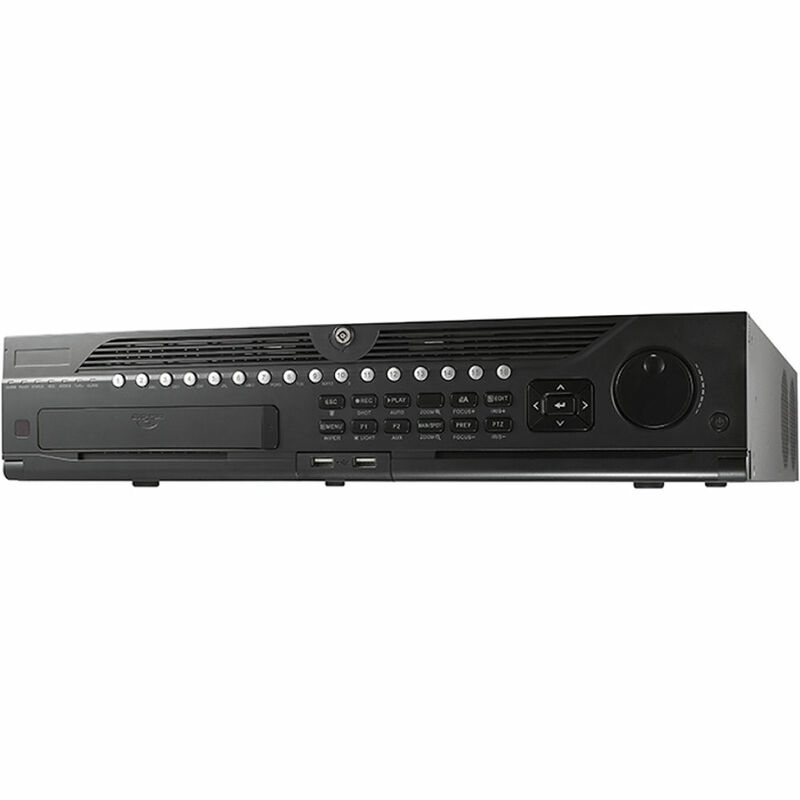 The DS-9016HUI-K8 TurboHD 16-Channel 5MP HD-TVI DVR with 36TB HDD from Hikvision enables you to record from and manage up to 16 cameras. 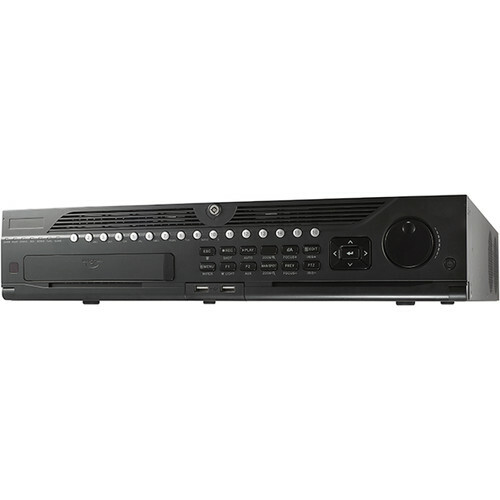 This DVR offers full channel recording at up to 5MP resolution. It comes with a 36TB HDD preinstalled. Storage is expandable to eight SATA HDDs, each with a maximum 8TB capacity, for a total of 64TB. A BNC interface supports HD-TVI and SD analog cameras. Additionally, IP cameras up to 12MP are supported. H.265+, H.265, H.264+, and H.264 video compression keep file sizes manageable while maintaining quality. An RCA connector offers two-way audio communication. In addition, one VGA and two HDMI connections for video output support dual streaming to maximize bandwidth efficiency. The second HDMI connection can output up to 4K UHD resolution video.